This is such a tasty, and easy salad to put together. The dressing really lifts the flavours, using sweet white miso, warming ginger, sharp lemon juice and apple cider vinegar. 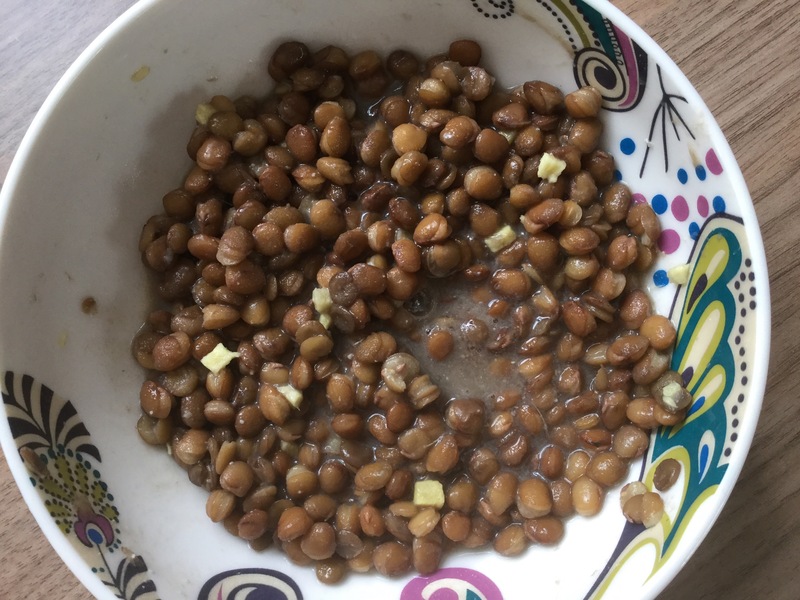 I’m using tinned green lentils, which are a great store cupboard staple. 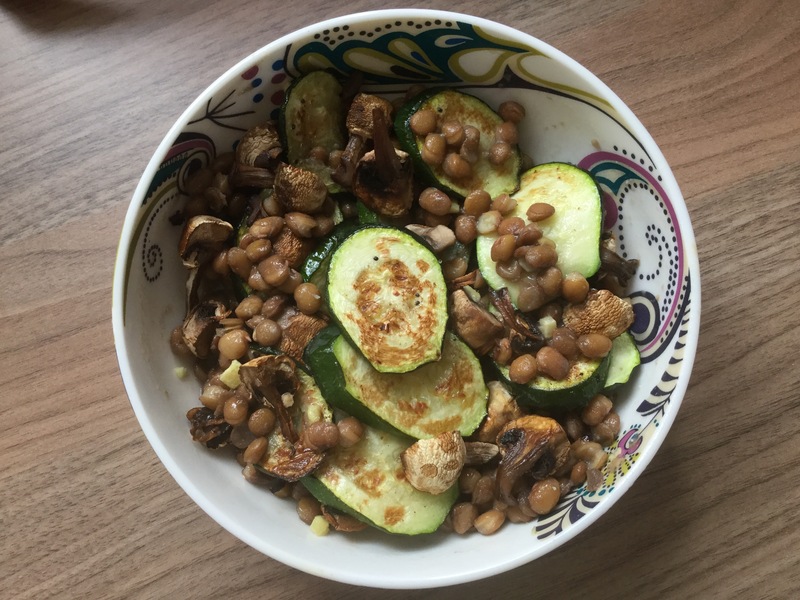 Pop the chopped courgette and mushrooms on a baking sheet, spray lightly with oil and put in the oven for 20 minutes or until they are browning and cooked through. Mix together all the ingredients for the dressing then pour over the lentils. Go and have a nice cup of tea while the lentils macerate and the veg cooks. Finish cup of tea, take veg out of oven and mix into the lentils.